The health and wellness space is brimming with preventative ways to be your best self, and that includes eating your way to a healthy smile. 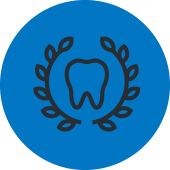 Visit any dental office and they’ll echo that not only does a great dental routine require brushing and flossing, but nutrition plays a critical role in oral hygiene and your overall wellness. After all, your mouth provides a picture of your body’s health — the good and the bad! Does my diet really affect my teeth? What you eat impacts your oral health — both positively with the right foods — and negatively with the wrong foods. With so many different diets out there it can be confusing as to what’s right and what’s wrong to eat, but a simple set of guidelines will help steer you in the right direction, but first we have to address the bad foods! 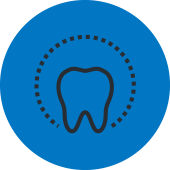 The most critical thing to remember when choosing foods to keep your teeth healthy, is that processed foods are very harmful. Processed foods are often overloaded with an abundance of sugar, sodium, and hydrogenated oils. Processed foods can cause nutrient absorption issues by both removing critical nutrients in manufacturing and also by robbing our bodies of them. Nutrients such as calcium, magnesium, and phosphorus are often missing when processed foods are consumed, not only causing systemic health issues, but also poor bone health. And what do we need for strong bones? You guessed it, calcium, magnesium, and phosphorous! Sugar — and starches that are rapidly digested into it — are the most concerning to your oral health. This may not be a new concept, as it’s something well repeated by dentists and health practitioners alike, but once you understand the why behind it, you may think twice about grabbing a soda. Sugar and high starch foods (chips and bread, for example) cause harm to your teeth when the bacteria is unbalanced. 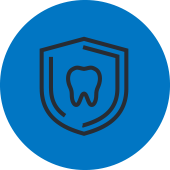 Your mouth is a lovely ecosystem of both beneficial bacteria and harmful bacteria, but where they’re in harmony with each other, so is your mouth. It’s when there’s an influx of acid-producing foods (hello sugar!) that the bad begins to take over the good. Harmful bacteria consumes the sugar present in your mouth and produces an acid-byproduct. The acids then cause damage to teeth by dissolving the minerals on your tooth enamel, and overtime producing cavities, tooth decay, and gum disease. The longer the bacteria, plaque, and food debris stays wedged between your teeth and all their delicious nooks and crannies, the higher the chances you’ll have of getting a cavity — the bacteria doesn’t just produce a little acid and then stop — it keeps producing acid for as long as the debris is present! There are many foods that contribute to oral health. 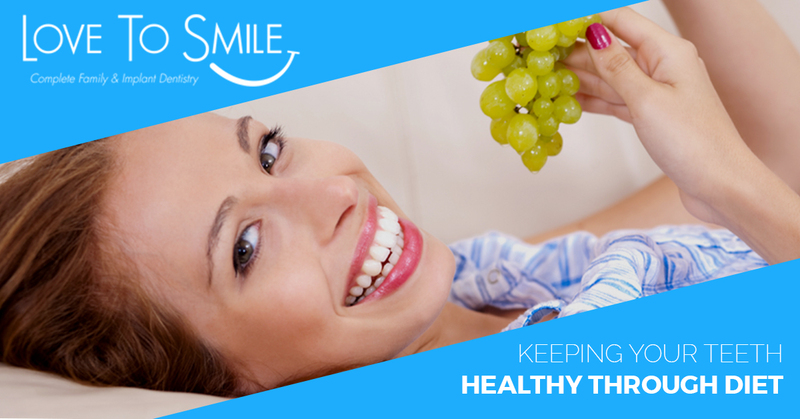 Eating foods that remineralize your teeth, such as dairy products, are wonderful. Other foods to reach for for a healthier smile are hard fruits and vegetables such as apples, carrots, celery, cucumbers, and broccoli. The texture of these foods are natural scrubbers that help loosen food debris, plaque, and bacteria from your mouth. Timing when you eat your food is also beneficial. Eating larger amounts of food at a time — mealtime — increases the flow of saliva helping to wash the bad particles away. Snacking, in addition to meals, produces less saliva and if you’re consuming a poor diet, this doesn’t allow your teeth any reprieve from acid. Sipping water throughout the day, and especially after sugary meals and drinks, is favorable to your oral health. 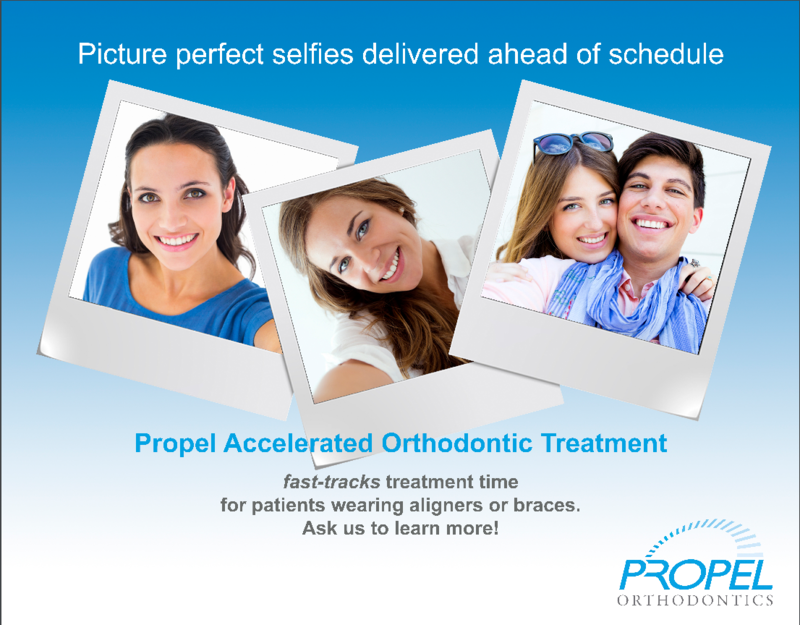 At Love To Smile, we are here for all of your dental needs — including preventative dental care!